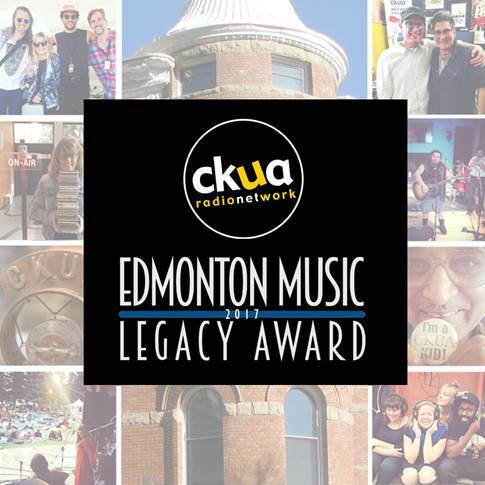 The Edmonton Music Awards executive committee is pleased to announce that the 2017 Legacy Award will be presented to CKUA Radio Network, a cultural institution that has cultivated the music scene in Edmonton and across Alberta for 90 years. CKUA has a long and proud history of championing the early careers of emerging and undiscovered Albertan artists—from k.d. lang and Corb Lund to 100 Mile House and Reuben and the Dark. Musicians outside the province also recognize CKUA as a unique phenomenon and appreciate its role in developing a vibrant music community. Operating out of the Alberta Hotel on Jasper Avenue, in the heart of Edmonton’s downtown arts district, CKUA has earned a reputation as a key voice of arts and culture in Alberta. The station continues to evolve and adapt to new platforms and technology, thanks to the fierce loyalty of its fans and dedicated support of its donors.